I've only just seen the Thumper Christmas and New Year posts, I don't come on this part very often as I always end up in tears. I love the photo of her having breakfast in bed. 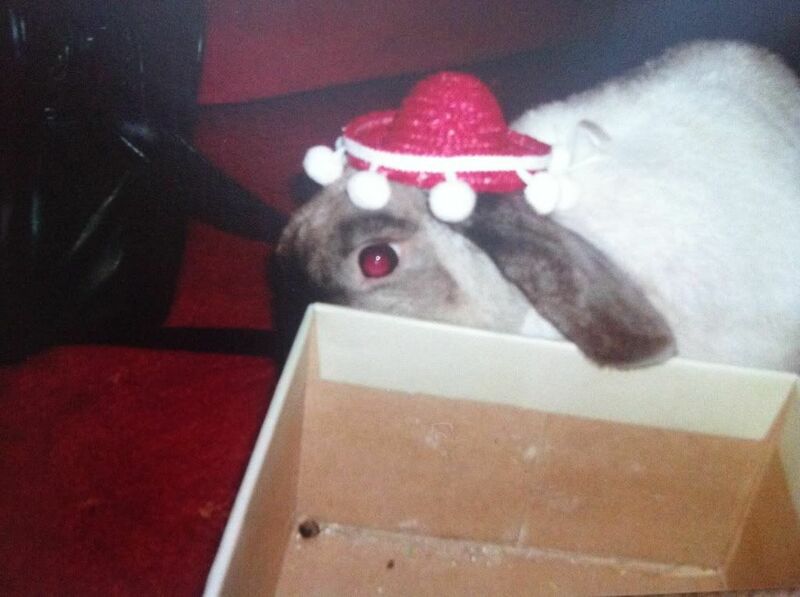 Her and Pud would've had a great Christmas and New Year party together, along with all the other HH bunnies. I normally write to to you in the candles section, but there's not enough room in there for what I want to say to you today. I want you to know that I am not looking to replace you Bubba. Like I said in my first post in this thread, you were one in a million, I wouldn't want to replace you anyway. There will ALWAYS be a special place for you in my heart. It's just, losing you was even harder than I thought it was going to be and I never thought that would be possible. I dreaded this time for years, you were my universe, my be all and end all and I'm totally lost without you. I feel like I have no reason to get up in the morning. I saw a shooting star on Friday night and my first instinct was to wish for you back but I know that's not possible, so instead I just made a wish for you to be happy. I don't yet know if these more bunny thoughts are just me trying to cling on to you. I don't even know what I'm thinking anymore. 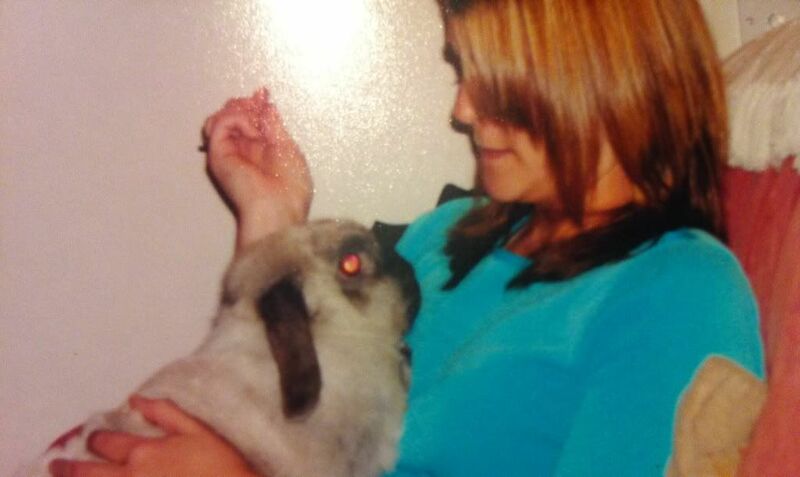 I wish you could let me know that you understand and that you would be ok with me taking more bunnies into your home. Maybe Vix is right in what she said last night, that getting more bunnies would be testament to just how much I love you. 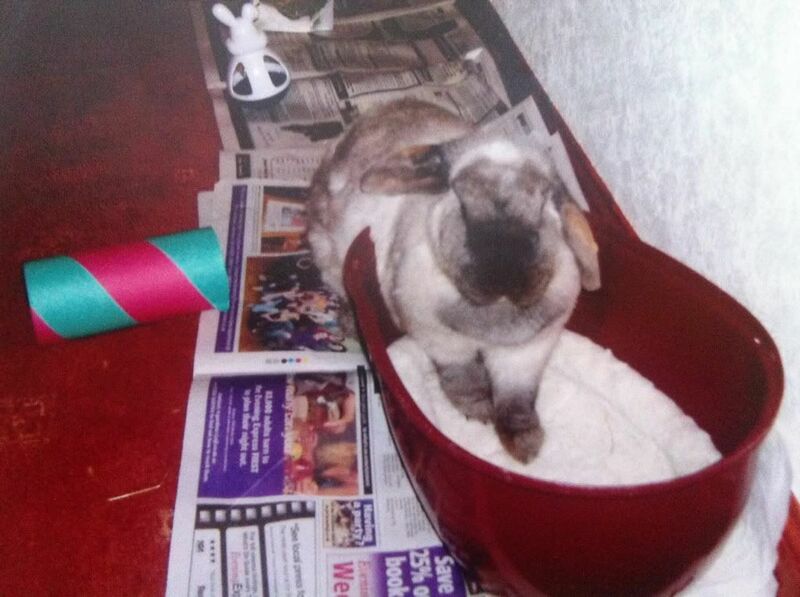 I'm not naive, I know more bunnies won't take this pain away, but I'm so lost and lonely without you that I don't know what I'm doing and I don't know who I am any more, I've never known being home alone until now and being here without you makes me so sad. Before you left, I was here to look after you. What do I have now? Maybe more bunnies would help scrape me off the floor, I don't know. If I do go ahead with it, I just hope you would understand because I will always love you and I will always miss you and cry for you, more bunnies or not. It's taken me all this time to be able to read this and look at the pictures of your Thumper. Maybe it's because our precious bunns share the same name. But I think it is more that. I've gotten to know you and your Thumper on this website. Seeing how much love the two of you shared was conveyed in such a personal and loving manner. Thank you for your kind words Gentl. I'm so glad that I found HH because here I can say exactly what I want to her. I don't know what I would have done without this place and you guys over the last few months. I loved her like I've never loved anything else before and never will again. I had my eyes opened when I lost her and nothing is ever going to be the same again. As morbid as this sounds, I can't wait until the day I see her again. Thumper2001 wrote: Thank you for your kind words Gentl. I don't think it's morbid, I think in a way it's a comforting thought. I've thought the very same thing. Thank you. It's good to know I'm not the only one that thinks like that. Sorry Bubba I'll always love you. It was the 2nd of June last year that things began to fall apart. I wasn't even living with you at the time. We were between houses so you were living at Nanny's while I was living in town. I took you back to Nanny's and went upstairs. I heard OH telling Nanny what the vet had said but she wouldn't believe him. I knew it wasn't possible, but I wanted you to live forever. You were an extension of me. We are supposed to be together. I think about you every single day Bubba, and look at pictures of you just as often. I don't let myself watch the videos too often, 25 weeks on it still hurts too much. I think it always will. Sometimes I still can't get my head round you being gone. If there was anything I could do to bring you back, I would make it happen. In a blink. I hope you are having fun where you are now, and that you know I love you Bubba	 I miss you more than I can put into words. Thumper is a special friend who is always by your side, in this world and the next. It's one year ago today since we got the keys to our home, and six months today since you left. I will forever be in your debt for us having this beautiful house. As you know, I'm a bit of a lazy sod and it was only the thought of you dying before we moved into a forever home that made me pull my finger out. I looked at you sound asleep in the flat one day and I panicked that one day you would fall asleep there and not wake up. From that moment, I couldn't get that thought out of my head and it upset me to think we'd move one day and not take you with us. So in January 2011, we went to see the sales team up here and paid the deposit. From that moment, I would regularly tell you that we were moving house and that you had to hold on for us. Losing you broke my heart, and I will never be the same person I used to be, I've lost a part of myself, but it would have killed me if I'd had to move into a new home without you. In a cruel twists of fate, your tumour was found a few days after we moved out of the flat, while you were living at Nanny's. 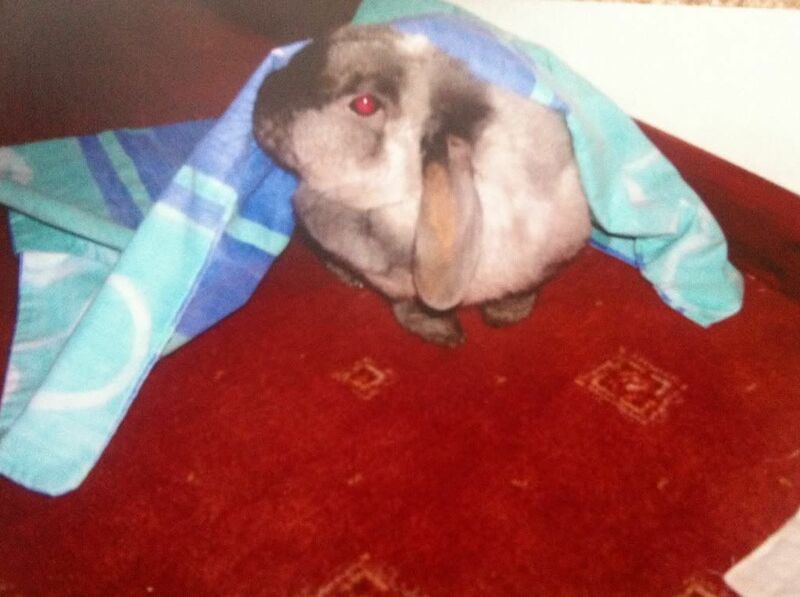 I miss you so much, my little soul bun, and your blankie misses you too. I used to sleep in your room on a Friday night, but now I sleep with your blankie instead. I can't get my head around it being a whole 6 months since you left. Some days, I miss you so much that I want to scream!!! Other days I think I'm not too bad, and then before I know it, my eyes are filled with tears. You are never far from my thoughts. How could you be? We had almost 11 awesome years together. I wish I could hold you again. Just one more hug. But I know if that was possible, I'd never be able to let you go again. A part of me left this world when you did. I hope you are keeping it safe, because I'm going to want you to personally give it back to me one day, then everything will be like it used to be. Some really old pics of you from when we lived at Nanny's. It was 5 years ago on Friday since we got the keys to our flat, so these are very old!! I love you sweetheart and I always will, more than words can say. 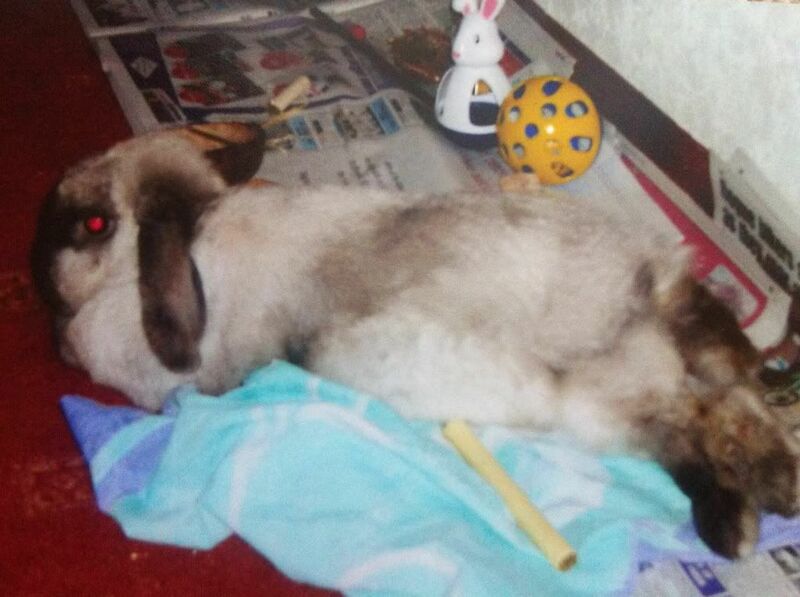 I only got to spend eighteen months with my precious Harley but, in your words, he was my 'soul bun' and I just can't bear the thought of having to live my life without him. I actually felt my heart break when he left. I can't even describe our bond in words..
What I am trying to say is I can understand how you feel.. and you're not alone in your grief. I can't wait until I get to see Harley again, too. Some days you just can't compute why they're not there, you want to stroke them and kiss them. You want to scream because you can't.